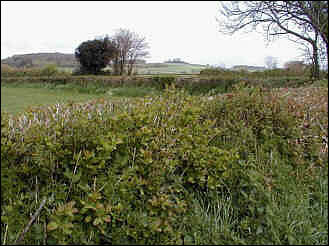 Hedges are generally managed according to their location (altitude, accessibility), species composition and purpose (i.e. stock-proof barrier, shelter-belt, wildlife haven). Or it might be that the practice is traditional to the landowner or farmer, handed down over the generations without change. It is widely acknowledged now that good hedge management involves looking at the whole farm or holding, and also that "neat and tidy" hedges are often not the best hedges. There are many publications detailing how to hedge lay, coppice and trim. This page is designed to provide at a glance guidance and advice on various management techniques. 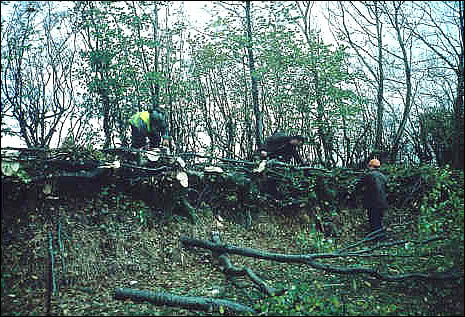 Hedge-laying is a traditional technique for managing hedgerows whereby each stem of a hedge plant is partially cut and laid flat. Re-growth sprouts from the cut stem giving a bushy base to the hedgerow. Today laying is often undertaken to rejuvenate a weak or gappy hedge. Coppicing is the technique where a shrub is cut off at ground level with regrowth coming from the base. In the 18th Century there were more hedgerow trees in Britain than ever before or since. They served as a vital source of timber and many were pollards. Oak, ash and elm were by far the commonest species, and these were preferred for ship building. The second half of the 18th Century saw a decline in the number of hedge trees as a consequence of agricultural subsidies, Enclosure Acts and the reorganisation of fields. Even worse for young trees has been the fashion for tidiness, which continues to prevail in many parishes. 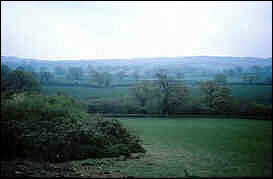 The numbers of hedgerow trees has been in decline since trimming has become more commonplace. Hedging and trimming formerly done once in five to ten years are now done every year. In Somerset specific areas have lost large numbers of hedgerow trees from Elm Disease, for example at Steart in Bridgwater Bay. Information is available in the form of a Taunton Deane Borough Council leaflet "The management of the Elm Hedgerow" and also the Butterfly Conservation leaflet "Managing Elm for Hairstreak". To encourage farmers and landowners to allow hedgerow saplings to grow up, Somerset County Council has introduced the Hedgerow Tree Grant as part of the Somerset Landscape Scheme. Visit the Grants Page for more information and SHG guidance on tree tagging. New hedges should be planted with native species such as hawthorn, blackthorn, hazel, dogwood and spindle. Plant whips (40-60cm) in a double row (rows approx. 40cm apart) with plants staggered in the rows (plants approx. 50cm apart in the rows). New plants will have to be protected from livestock or browsing rabbits, hare or deer. Consider placing a rabbit spiral or quill around each plant if browsing is a serious problem. Minimise weed competition in the first 3-5 years after planting with mulch of muck, wood chip or proprietary mulch mats. This is the practice of filling in gaps in hedgerows by planting whips or saplings. The saplings should be of local provenance and species already found within the hedge or adjacent hedges. As with planting new hedges, a mulch is recommended to minimise competition from weeds and to retain moisture. 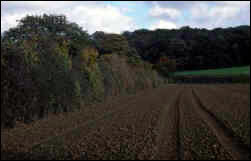 Many upland hedges sit on earth banks which should be built up when a hedge is restored. Traditionally, when a hedge was laid, the adjacent ditch would have been dug out and the spoil cast-up onto the hedge-bank to nourish the rejuvenating plants. The value of a hedge will be greatly increased if a grass verge is next to the hedge. This will not only provide a valuable habitat but will also buffer the hedge from farming operations. Trimming hedges with a flail is the most common and convenient way of managing hedges. Used correctly the flail can produce well-structured and dense hedges that have high wildlife and aesthetic value. However, repeated annual flailing can have a detrimental effect on the integrity and longevity of a hedge and will not benefit wildlife. By gradually increasing the height and the width of a hedge, making each cut slightly higher than the last cut, larger and better structured hedges will result. For a list of hedge restoration, fencing and walling contractors click here.